Joesph Pilates said in his book, Return to Life, “It is the mind itself that shapes the body.” Let that sink in for a moment. Your mind shapes your body! Wow, if that’s true – for better or worse your thoughts are impacting your strength, flexibility, balance… your overall health. Ever notice yourself catching a cold after you’ve been stressed? Joe also said, “our body should obey our mind”, not vise versa. Yet how often do we feed our brain negative self-talk after a failed attempt at something new? Listen to what neuroscientist, Dr. Caroline Leaf author of, Switch on your Brain, The Key to Peak Happiness, Thinking, and Health, has to say about “mind over matter”. Watch the Winter Olympics and we see the miracle of mind over matter. Did you know that every morning we wake up with brand new baby nerve cells that we can wire in new thoughts? Its called Neurogenesis. Dr. Leaf explains that we don’t have to get stuck in bad habits and toxic thoughts – we can change them. “As he thinks, so is he.” – Proverbs 23:7. Joe also said, “One of the major results of Pilates is gaining mastery of your mind over the complete control of your body.” Double wow – wouldn’t you like to experience that, not just in class – but every moment of your life? If so, join me for the “Return to Life Workshop Series”. 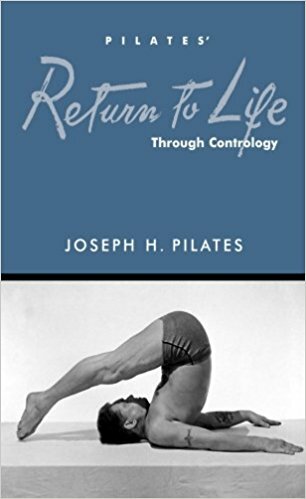 We’re going to do some life changing work and make good on Joseph Pilates’ and Dr. Leaf’s assertions. Together we’ll apply techniques and strategies that I have learned over almost 17 years of practicing and studying with some of the world’s most talented teachers. If you’ve read this far, I’m hoping you’ll take this as a sign that your mind is ready to take charge of your body. You don’t have to attend all the workshops, but the more you commit to – the greater and faster your results. Please click on the link below to find workshop dates and more details. As always, I look forward to working with you.